For those of you who read my book review of the Tightwad Gazette, you'll remember I decided to start having one day a week where we ate 'frugal food'. And, to me, the epitome of frugal food was this: oatmeal for breakfast, peanut butter and jelly for lunch, and of course, waffles for dinner. This worked well for the first two weeks. Then, my sweet husband said, "Maybe we could try something besides waffles next week." I agreed, wholeheartedly. I can only take waffles so many nights a month. So, this week, I decided to make red beans and rice. I did make a few changes: instead of ham or smoked sausage, I threw in a few drumsticks I got yesterday night at the grocery store. (Even better, they were half price!) And, I threw them in about 5 hours before I planned on eating dinner. I hope they will be cooked in time- I may need to adjust the recipe for that. I will update this post if so. Red beans and rice is the OTHER 'waffles' in our house...it's another cheap recipe that my husband doesn't particularly like. He did say the other day that having frugal recipes makes him feel richer. So, I guess it's better than nothing? Well, I figured there has got to be a good collection of frugal recipes that DO taste good. So, I started looking around, and found this excellent page on Frugal Follies. Not only does it have a large variety of recipes, it has things that sound incredibly delicious, like balsamic chicken, pepper steak, etc. I can't wait to add some of these to my collection of frugal recipes! I know my husband will appreciate it too. Do you have any frugal recipes that you love? What is your go-to website for great, inexpensive recipes? Please link up or leave a comment. I love new recipes, especially those recommended by others. We have "Egg in the Hole" night at our house once a week! (Tonight in fact!) I figure it's about a $2 dinner for all 5 of us. 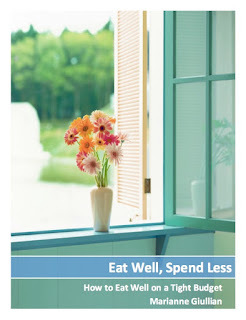 I've got tons of really frugal meal ideas on my blog. We've been recovering from a major salary reduction for 6 months, so cheap eats are at the top of our priority list! We like goldenrod eggs, or omelettes and homemade hash browns. Eggs are cheap easy protein and potatoes are a good starch. I also like making "barbecue cups." I do an easy home made roll recipe (since rolls aren't expensive to make) and stick them in a muffin tin. Then I make the ground beef/barbecue part, stuff the rolls with the meat and top with cheese. Then you cook them the oven till the rolls are cooked through. They are good for meals on the go and cheap to make. To save money on meat for this or taco salad (another cheap meal we do) we use ground turkey. It's healthier and with spices/ sauce on it we can't tell a difference between this and ground beef usually. For the taco salad I always add black beans to our meat to make the protein bigger but cheaper then doing a whole container of ground turkey. I love hearing about cheap and healthy meals! This is one of my very favorite meals. And so healthy and cheap. Thanks for the ideas. I had to look up goldenrod eggs, because I had never heard of them. I am not much of an egg fan, although I do like omelettes if they have lots of stuff inside of them to overpower the egg taste. Those are great ideas and eggs are a good protein food. You can put lots of veggies in omelettes and the more veggies you can eat, the better it is for you. The barbeque cups sound like a good idea to try, also. You could easily freeze them and put them in a lunch box and they would thaw by lunch time. Thanks for the ideas! Thanks for the link for the curried rice. When I was in junior high, I tried curry and didn't like it. I haven't touched it for years. After looking at your recipe, maybe it is time to buy a little from the bulk food section and try again. Thanks for the link. It is nice to get other recipes that are tried and true from people. Thank you. Maybe we should do a post on rice and beans....I will pass that on to Michelle! Have you seen this post from smallnotebook? There are a lot of good comments with ideas for cheap but healthy meals. Thanks for the link! I have been checking it out this morning to see if there is something I want to try!